The Porsche 930 Turbo was a turning point for the German manufacturer as it debuted turbocharging for the public rich enough to afford it. Debuting in the mid-‘70s, it took a turn towards flamboyance in the ‘80s with the Slant Nose version which, in its rarity, is as era-defining as the Ferrari Testarossa or the Lamborghini Countach. Early turbo-lag freights never looked this wacky! The 930 Turbo, or rather the Turbo Carerra as it was sold in the US, was Porsche’s first stab at turbocharging a car for the public roads. Sure, they weren’t the first of the European manufacturers to do it, with BMW launching the 2002 Turbo three years prior in 1972, but the Turbo from Stuttgart had substantially more grunt which made it a bit of a menace. From the get-go, a Turbo’ed 911 had over 250 horsepower making it the fastest car Germany could offer. It also had an unmistakable look with the black graphics on the lower sides and the enlarged whaletail wing that aided in both cooling and downforce. The German manufacturer had loads of experience with turbocharging on the racing front, debuting the 917/10-TC in 1972 and sweeping the Can-Am title with it. Then came the 917/30 which was even more dominant, to the point that it killed off the series, and then the 911 Carerra RSR Turbo which was based on a road-going 911 albeit with countless modifications. That purpose-built prototype that looked like your streetwise 911 is the father of the 1975 930 Turbo which was unveiled at the Paris Auto Show in October 1974. For 1975, Porsche put out just 400 Turbos to meet homologation requirements for their next racecar, the 934. Unlike the previous homologation special, the Carerra RS 2.7, the Turbo really caught on, and by 1976 it became available in the United States. The one-off, road-going 935 replica ordered by McLaren backer Mansour Ojjeh, then president of TAG, sparked an interest among well-to-do Porsche customers for a 930 with the nose flattened. The German manufacturer duly listened to the wishes of its customers and the Slant Nose – Flachbau in German – was born. 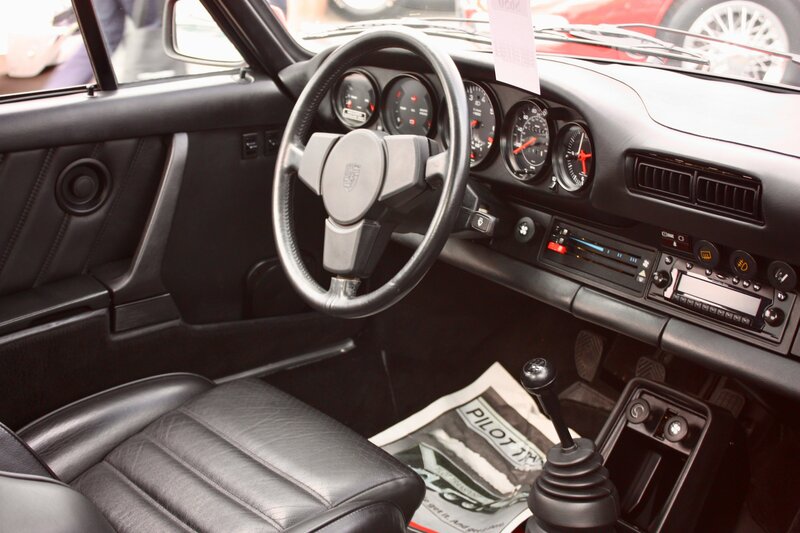 The design proved polarizing, and with an MSRP in the period of $29,000, which increased the cost of a 930 Turbo by almost 60%, less than 1,000 Slant Noses were made beginning in 1981. This special optional extra was also available in the US under the 930 S moniker. After its production had ended, the 930 Turbo remained a cult classic with the Slant Nose the rarest version of them all. It’s a testament of the times and quite a bit more than that, as the racing-inspired modification actually aided handling and acceleration.